Barry D. Pressman, MD, FACR – Chairman, Medical & Scientific Advisory Board. Is Professor of Imaging, Chair of the Department of Imaging and Section Chief of Neuroradiology at Cedars-Sinai Medical Center in Los Angeles. He is a graduate of Harvard Medical School, with an internship at Brigham and Woman’s Hospital in Boston, MA, residency at Columbia Presbyterian Hospital in New York City, NY and fellowship at George Washington University Hospital in Washington, DC. 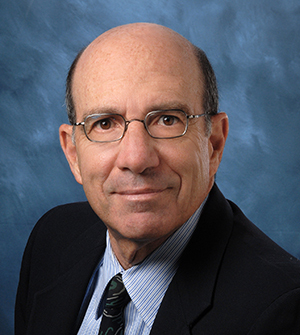 Dr. Pressman has served in a variety of key leadership positions including the Presidency of the American College of Radiology, the Presidency of the California Radiological Society and the Presidency of the Western Neuroradiological Society. He has also served in several government, domestic and International organizations including the United States Public Health Service, executive positions at domestic private and public institutions, and as an advisor to one of the United Nations International Tribunals. Dr. Pressman is certified by the American Board of Radiology and has served on the Founding Editorial Boards of both the Journal of the American College of Radiology and the American Journal of Neuroradiology. His major research interests presently are in pituitary imaging. Dr. Pressman has civic and corporate board membership experiences and presently serves on the Board of Directors of Los Angeles Philharmonic Association, on the Medical Advisory Boards of the American Medical Isotopes Corporation and the privately-held Carestream Health. Dr. Pressman is widely published and an invited speaker nationally and internationally on diagnostic neuroradiology and safety issues. He has authored book chapters on head trauma, the temporomandibular joint and pituitary imaging. K. Kirk Shung, PhD - Member, Medical & Scientific Advisory Board. Is Professor of Electrical and Biomedical Engineering at the University of Southern California (USC) at Los Angeles. He received his BSc degree from Cheng-Kung University in Taiwan in 1968, MSc degree from University of Missouri, Columbia, MO and PhD degree from University of Washington, Seattle, WA, in 1975, all in Electrical Engineering. Professor Shung served as a faculty at Penn state University, University Park, PA until 2002 and then relocated to the Department of Biomedical Engineering at USC. He was designated a Dean’s professor in Biomedical Engineering in 2013 and has been the director of NIH Resource Center on Medical Ultrasonic Transducer Technology since 1997. Professor Shung is a life-time fellow of IEEE, and a fellow of the Acoustical Society of America and American Institute of Ultrasound in Medicine. He is a founding fellow of American Institute of Medical and Biological Engineering and has served for two terms as a member of the NIH Diagnostic Radiology Study Section. 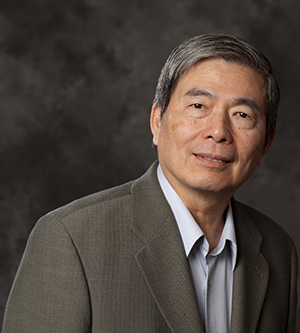 Professor Shung received the IEEE Engineering in Medicine and Biology Society Early Career Award in 1985 and was the coauthor of a paper that received the best paper award for IEEE Transactions on Ultrasonics, Ferroelectrics and Frequency Control (UFFC) in 2000. He was selected as an outstanding alumnus of Cheng-Kung University in Taiwan in 2001 and as the distinguished lecturer for the IEEE UFFC Society for 2002. In 2010 and 2011, Professor Shung named the awardee of the Holmes Pioneer Award in Basic Science from American Institute of Ultrasound in Medicine and the academic career achievement award from the IEEE Engineering in Medicine and Biology Society. Dr. Shung has published more than 500 papers and book chapters, authored the textbook “Principles of Medical Imaging” published by Academic Press in 1992 and two editions of the textbook “Diagnostic Ultrasound: Imaging and Blood Flow Measurements” published by CRC press in 2005 and 2015. Dr. Shung is currently serving as an associate editor of IEEE Transactions on Biomedical and Engineering, IEEE Transactions on Ultrasonics, Ferroelectrics and Frequency Control, and Medical Physics. His main research interest is in ultrasonic transducers, high frequency ultrasonic imaging, ultrasound microbeam, and ultrasonic scattering in tissues.